When the glass panes within a wooden door becomes chipped, smashed, or shattered, it can cause major problems. Aside from compromising the aesthetic beauty, it may produce a safety hazard and reduce the home’s insulation. 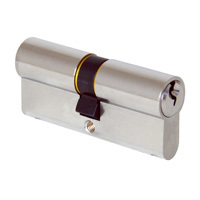 If it’s an external door, it may put you at greater risk from burglars and outside dangers too. As such, this is an issue that requires immediate action. While you may fear that replacing the entire door is your only option, it may be possible to find a quicker, easier, and cheaper solution simply by replacing the glass pane. Therefore, we have written an article on how to replace a glass pane in a wooden door to help you tackle this issue. Let’s face it; doors are expensive, especially if it’s the front or back door. Aside from the materials, you’ll need to dispose of the existing door and think about additional ideas like getting new keys cut. Moreover, this is a job where only a professional job will do while it’s also one that will require a lot of time. Opting for a glass pane replacement service may open the door for skilled DIYers to complete the work themselves. If not, the fact that this type of job can be completed far sooner will lower the costs. Given that the glass pane is the cheapest part of the door too, this route will be kinder to your pocket, not to mention a far more practical solution. Removing a glass pane is a little difficult and requires the right tools, but it’s hardly the most difficult home repair job. Tape over the glass for safety and use a Stanley knife or blade to cut the through the paint and sealant. Next, use a chisel to remove the wood out of the panel. Take out the glass and measure the opening and ensure the new glass is 1/8th of an inch smaller than the opening itself. Use nails to secure the glass back into the panel before applying the sealant. Nail holes should be filled in, and you’ll want to paint the door for a better aesthetic. On another note, try to find safety glass rather than the outdated panes that were used on older doors. After all, this is probably one of the main reasons that the glass broke in the first place. Job done. While it’s still quicker and easier than replacing the door, you may wish to have professional support. After all, the importance of your door cannot be overlooked for a second. Whether it’s in order to get the best results or simply save time, Cosyhomes is ready to help. Our friendly technicians can replace the glass units in a fast, efficient, and affordable manner, leaving you with peace of mind. We offer an array of support. Whether it’s sourcing the right materials at the best price before completing the task, using our skills and experience to complete the work, or a combination of both doesn’t matter. If you need support restoring your door to its former glory, it’s crystal clear that ours is the only help you’ll need. Contact our team today on 020 8397 4040. Aluminium bifold doors are a fantastic addition to your property. They offer a great link between the interior and outdoors while providing you with an excellent view from inside as well. They’re highly stylish, last for a long time, and can add significant value to your home. To get the most out of your aluminium bifold doors – and to ensure they stay in the best condition possible – it’s essential that you learn how to care for them properly. In this blog post, we’ll teach you some basic maintenance tips, including the all-important information on how to adjust aluminium bifold doors. Adjusting your bifold doors is a key maintenance task that everyone needs to know about. Even when these doors are installed perfectly by professionals, things can happen over time that leads them to fall slightly out of alignment. Bad weather can cause this, natural movements in your house structure can also do this, and the result is that your bifold doors might not close or function properly. As a result, you need to make adjustments that ensure these doors close properly and keep sliding on their hinges without catching or stalling. The first thing you need to do is experiment with your bifold doors. Try opening or closing them, and pay attention to the lead door. If it isn’t set properly, then this can cause a jam that stops the other doors from sliding open as well. In which case, this door needs to be adjusted as it will free up the others. In many cases, the lead bifold door just needs adjusting to the left/right. To do this, you should adjust the hinges found on the sill. All you need for this is a simple Allen key. Play around with the hinges until the door feels like it’s moving properly and closes fully. If your bifold doors are dragging along the hinges or come out of their tracks when you open them, then this could indicate a problem with the height. Here, your main concern is with the hinge bolts. If you extend these bolts, the door will be raised. If you push them in, the door will lower. Play around with the bolts until the door fits in place perfectly. After adjusting your bifold doors, they will be set back in their original place and can function fluidly once more. As a consequence, there’s less chance of problems occurring and irreparable damage happening. Along with learning how to adjust your aluminium doors, you should also learn how to take better care of them. The main thing to remember is that you need to clean them regularly. Give them a thorough clean once per year to get rid of a build-up of dirt, dust, and grime – which can affect their performance. For people living in areas where there’s a lot more dust in the air, then you should maintain your aluminium bifold doors more regularly, giving them a clean every three or four months. If you follow the advice in this guide your bifold doors will last a lot longer and stay in great shape. If you’ve been looking around for aluminium bifold doors prices then we can guide you even further. Please don’t hesitate to get in touch today on 020 8397 4040 and a member of staff will be happy to help. Here at Cosyhomes Windows, we are not only experts in supplying high-quality windows but we are also able to help people find the perfect door for their property too. One of the most modern approaches to doors for your home is a composite door. Composite doors are designed as a solution to the issue of having single material doors, such as wooden or uPVC. Instead, these doors combine different materials, allowing them to deliver an all-round solution that other styles of doors simply cannot offer. One of the main advantages of having a composite door is their resistance to seasonal changes, making them the perfect weatherproof door for your home. Due to the materials used in construction, which is typically PVC, insulating foam, glass reinforced plastic and wood, they tend to have a much higher resistance to cold weather. Not only does this mean less heat escapes, but you also don’t have the issue of expansion and shrinkage. To read more about composite doors and how they work, take a read of our article: What Is A Composite Door? Here at Cosyhomes Windows, we only use composite doors from Door-Stop. Door-Stop doors offer the very best in strength, easy maintenance, security and weather resistance. And, with over 100 billion easy composite door configurations to choose from, the options are almost endless. 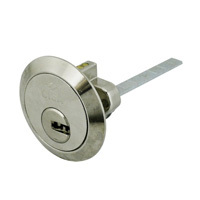 It’s no secret that burglars can open doors locked with normal cylinder locks in seconds. That’s why Door-Stop doors are fitted with Ultion as standard. Ultion’s trademark Lockdown Mode activates a hidden lock when it detects an attack. 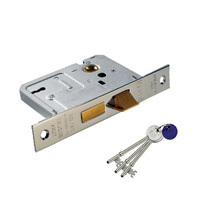 That’s why it is accredited with not only the TS007 3 star grade 6 Kitemark, but also Sold Secure Diamond from the Master Locksmith Association. When you buy a composite door with the Ultion cylinder from Cosyhomes Windows, you will benefit from the Door-Stop Guarantee. 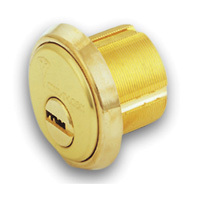 This guarantees the homeowner a £1000 and a replacement door (or repair if you prefer) in the event of a burglary where the intruder gained entry by snapping the Ultion cylinder. The guarantee is valid for a period of 10 years and is included as part of the standard door price. As a local Surrey doors expert, you can get in touch with us direct for more information on the guarantee by calling 020 8397 4040 or visiting https://www.door-stop.co.uk/secure-guarantee. Our home is our castle, and this means that you will want to make sure that it always looks its best. One popular way to give a great effect in your home is with aluminium bi-fold doors. These doors are installed into a property which creates an outdoor/indoor link between your home and garden. Much like any permanent features that you have in your home, it makes sense to carefully consider your bifold doors before you have them installed. This means that you will have the best quality possible. However, what things do you need to look out for and what are aluminium bifold doors prices like? As your bifold door will be making a barrier between you and the outside world, one of the most important things to think about is that they are of the best quality. You will want to make sure that they protect your interior from drafts and rain water and ensure that the energy efficiency of your property is maintained, or, even better – improved! It is also important that their security is a top priority to protect your home and your belongings. There are a number of different materials that bifold doors can be made of, with one of the most popular being aluminium. Aluminium bifold doors are long lasting and durable. They are also cost effective without having any impact on the quality. Whilst you can pick up cheap versions; it is best to get them expertly measured and fitted due to the adjustments required. The average price of aluminium bi-fold doors range from around £1000 per pane plus a total installation cost. The price can be dependent on a number of factors, based on the final design. 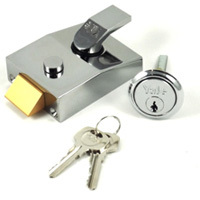 Best of all, they come in a variety of finishes and can be tailor made to suit what your needs are. This means that they are ideal for a modern property that wants to create a high quality and stylish effect, or a more traditional property that wants the feeling of outside from inside. Ultimately, as a way to align your living spaces, we think they’re pretty amazing and unique. If you are buying anything for your home then you will want to make sure that you are protected if anything does go wrong. You should never buy bifold doors from a company that does not offer a guarantee, as offering this insurance is a sign that they are a company that can be trusted to give you the best quality possible. The thing to remember is that when it comes to your home, anything that you buy should be seen as an investment. The last thing that you want is to have to replace fixtures and fittings on a regular basis. This includes Aluminium Bifold Doors. If you want to make sure that your doors are top quality and will last as long as possible, you should get in touch with experts, just like us here at Cosyhomes Windows. Could Brexit Mean It Is Time For Upgrades? 2016 has been the year that saw the UK undergo a huge decision, and unless you have been living in a cave for the best part of it, Brexit is something that you will know only too well about. In June 2016, the people of the UK took the decision that they wanted to leave the European Union, causing a number of ripples across the entire country. That said most of us do not seem to have felt the effect of Brexit at all. Surprising? Well, whilst there were some financial implications immediately after the decision, it seems that it is the long term that will really see the changes come into force. You may even find that Brexit affects some of the more “normal” parts of your life. In fact, here at Cosyhomes Windows, we believe that Brexit could mean that your doors and windows see a cost rise. Meaning that you may end up paying more to keep your home looking great. There is a good chance that the amazing new windows and doors that you have installed in your property will be made up of components from across Europe. Unfortunately, one of the things most likely to be affected over the next 2-3 years will be trade with our European neighbours. Both trade systems and laws will undergo major changes, and the impact of this will be that the cost of trading (and the cost of buying the items for the customer) rises. Rather than wait and see if you will end up paying a higher price. Why not make the investment into your home now instead? New windows and doors not only make the property feel clean, fresh and new, but in the long term it will add value onto it too. Perfect for if you want to sell in the future. It will also leave your house warmer and cosier. If that wasn’t enough then think about the money saving aspect too. High performing doors and windows will reduce how much you need to pay out in heating bills, saving you money in what could be uncertain times.